This darling 1/2" brass heart is stamped with your pet's name while the 1" (25mm) copper disc underneath it has your phone number. 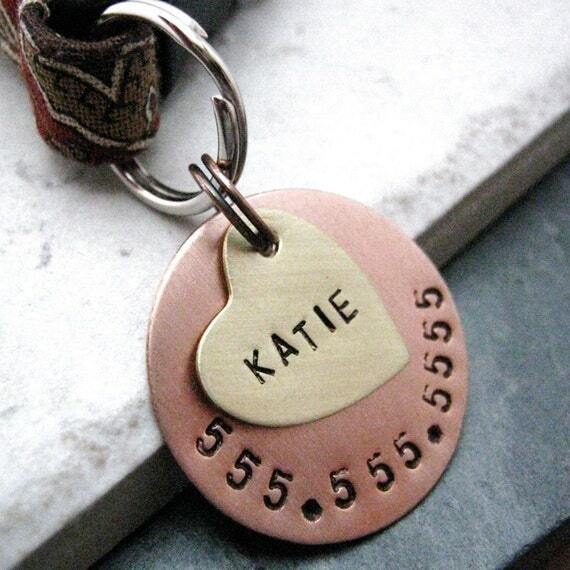 Your pet's name will be stamped in uppercase letters. I can fit up to 6 characters on the brass heart. Copper split ring comes with tag. Collar not included.